At the 70th United Nations General Assembly in New York (UNGA), His Excellency Professor. Arthur Peter Mutharika, the President of the Republic of Malawi hosted a Side Event on ‘A Strategy to Strengthen Higher Education in Africa for implementation of the Sustainable Development Goals’. The side event was organised in parallel to the ongoing UNGA where Global leaders from 193 nations reviewed and adopted the 17 goals and 169 targets that make up the 2015 post-development agenda, the Sustainable Development Goals (SDGs). The SDGs aim to ensure a dignified existence for global citizens by the year 2030. SDG 4 calls for an inclusive and equitable quality education and promotion of life-long learning opportunities for all. The President of Malawi is working with 55 Vice Chancellors of the Regional Universities Forum for Capacity Building in Agriculture (RUFORUM) to advocate for the strengthening of higher education in Africa. 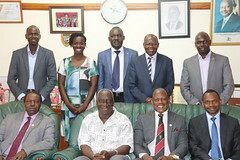 The President commended the important role of partnerships such as the Partnership for Higher Education in Africa (PHEA) have played to support capacity development in Higher Education in Africa and called upon development partners, including the African Development Bank, to increase support to higher education in Africa. The meeting noted that Africa is experiencing strong economic growth averaging around 5% and that studies in several sub-Saharan African countries have demonstrated that investment in Higher Education is a good economic investment, producing a rate of return of over 20%. More public and private sector investment in Higher Education is therefore justified. The low participation of African youth in Higher Education (<1%) and the wealth and gender disparities among those who do access Higher Education was noted. It was agreed that there needs to be better representation in Higher Education from the lower social quintiles and from women. The event attracted Government leaders and representatives, development partners, regional organisations and higher education stakeholders. The President called upon the African Union to facilitate the movement of staff and students between various African institutions across the continent noting that mobility can be enhanced by providing an enabling environment. He requested fellow Heads of State and Government and development partners to ensure improved and long term funding to higher education in Africa. He stressed the need for improved and relevant curricula, for partnerships for Agricultural Development and the power of ICTs to promote and support Open and Distance Learning. His final point was to stress once again the need for partnerships, South-South, South-North and triangulated partnerships between multiple Southern and Northern institutions. A documentary on the role of higher education in development was screened and is available online at https://www.youtube.com/watch?v=bEyNqzXMfo4. 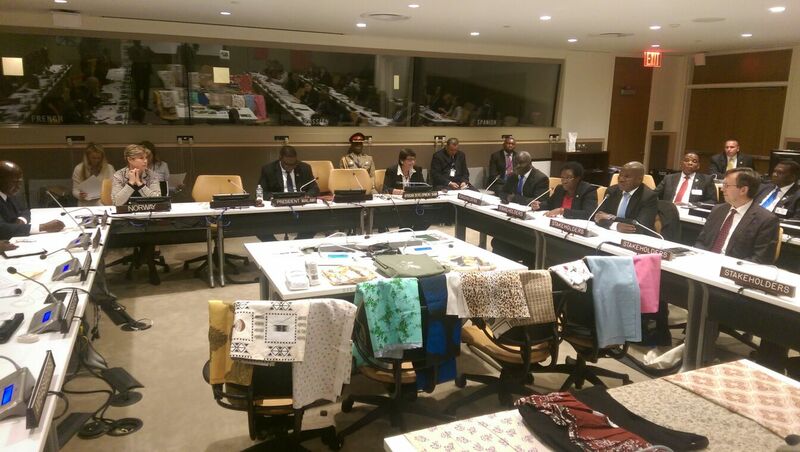 Download full RUFORUM Press Release_UN Summit on HEA here.